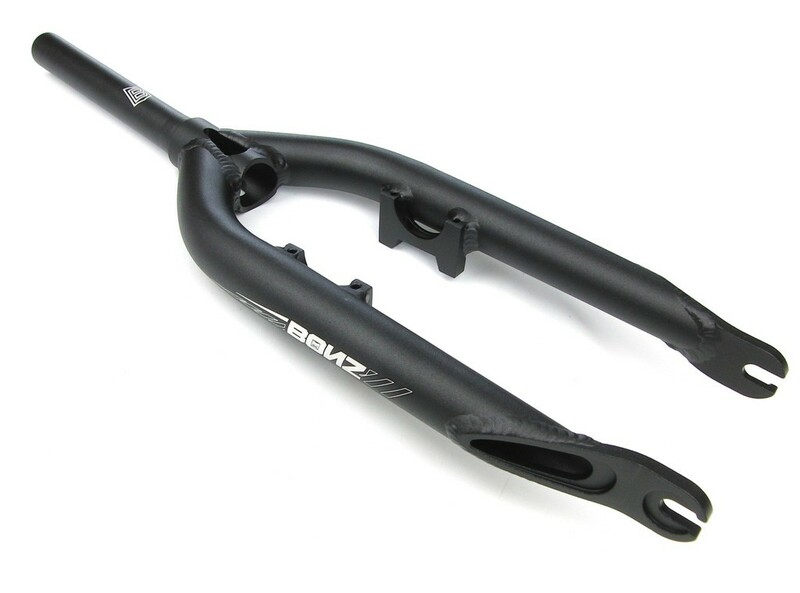 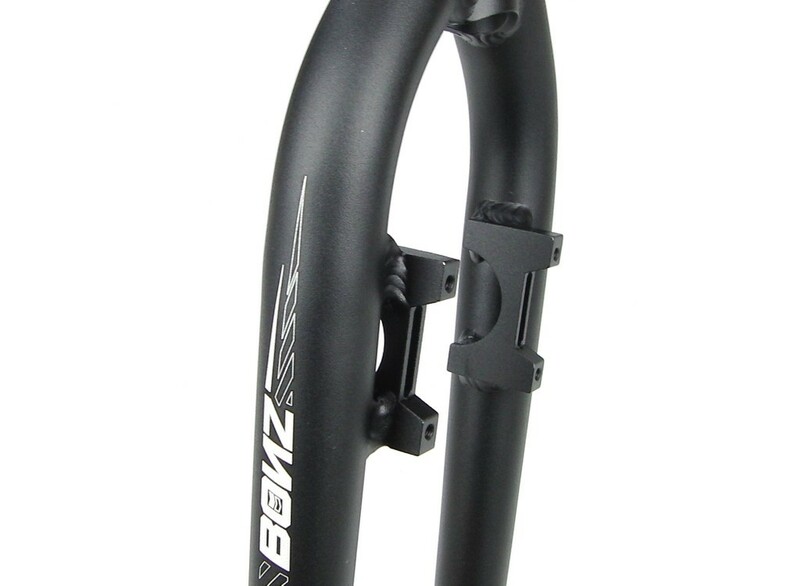 Aluminium 7005 T6 fork from Bonz, the Ozonys components brand. 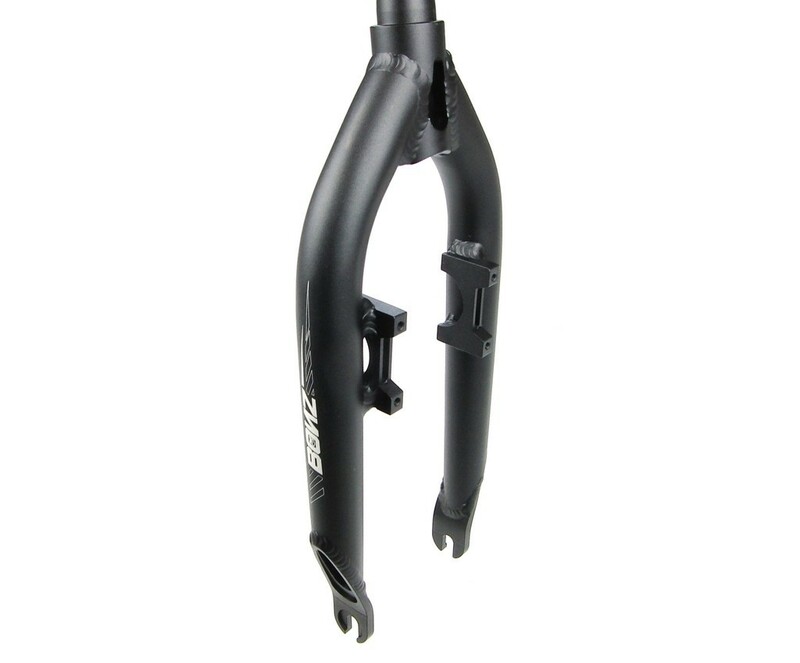 Available for 20'' bikes with rim brake. 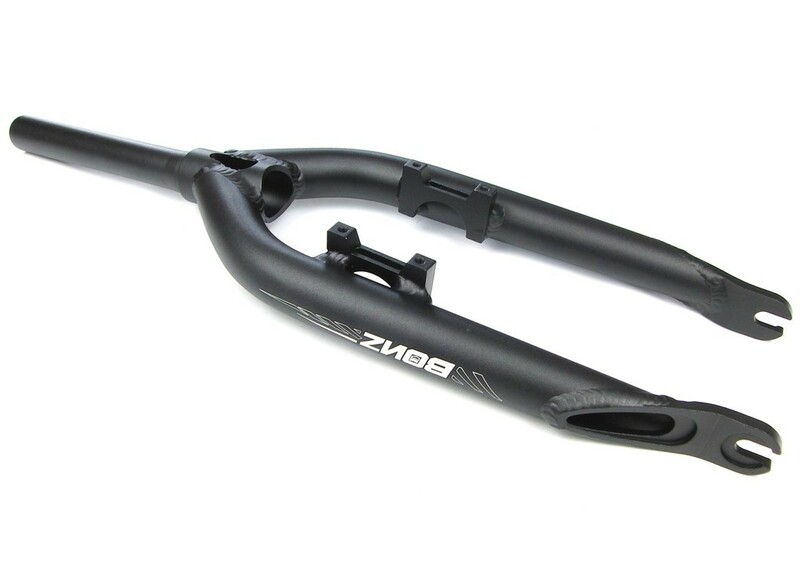 4-bolts mount to the rear of the fork to get maximum brake power (spaced at 88mm).